Easter is this Sunday! 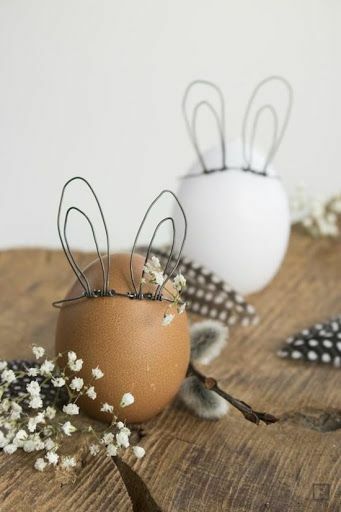 Have you decorated your eggs yet?? I just colored some this week with my mom and gran...so fun!! There are so many creative ways people are decorating their eggs now...I guess my creations won't be pinterest worthy, since I just went with the standard egg dying. Ha! Oh well...maybe next year I'll have some creative motivation for some easter egg decorating. Anyways, I've gathered some of my favorite ways creatives are decorating their eggs. I love how all of these stray away from the traditional look. These are all images from DIY tutorials, so be sure to click on the ones you like! You'll be taken directly to the tutorial and can create your own cute easter eggs.